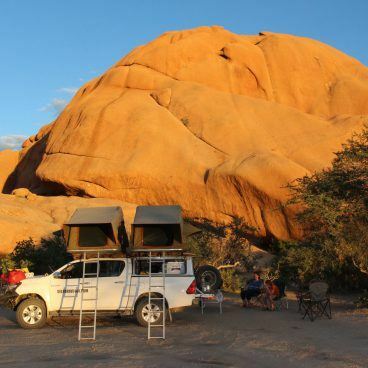 The imposing Spitzkoppe, also know as the ‘Matterhorn of Namibia’, is a well-known landmark between Usakos and the coast. 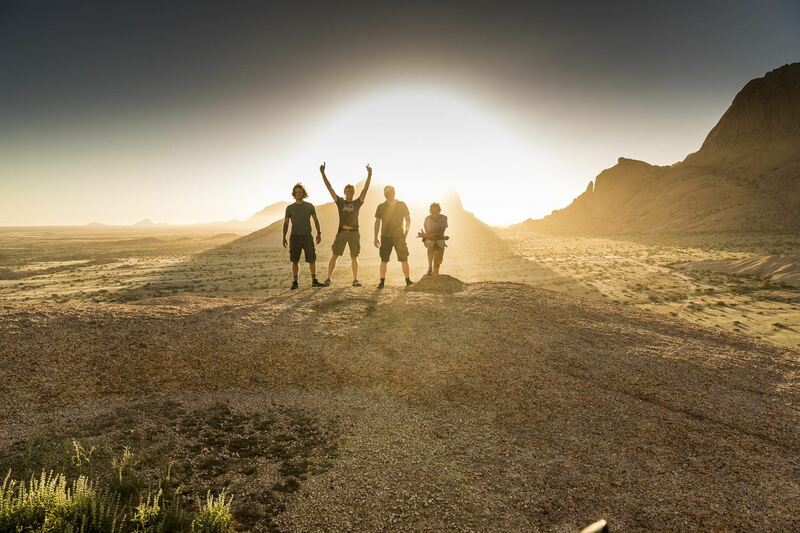 Rising some 700m above the flat surrounding plains, the Gross Spitzkoppe has a height of 1 728. Immediately to the east are the Pondok mountains. 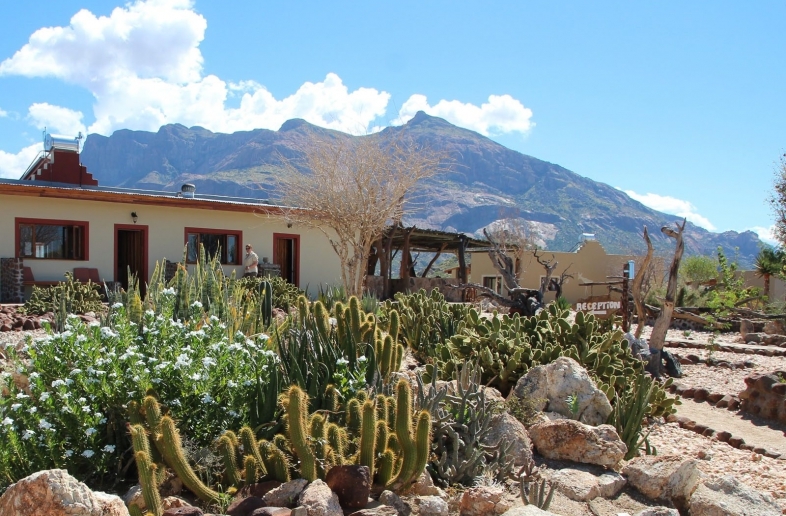 About 10km southwest is the 1 572m high Klein Spitzkoppe. 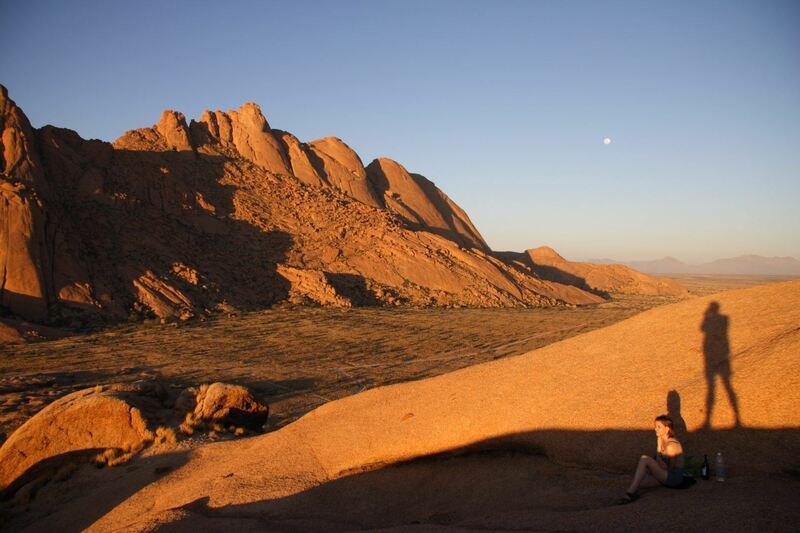 The German name refers to the sharp peak of the Gross (Great) Spitzkoppe. The Inselberg dates back some 120 million years, when granitic magma (molten matter) intruded into the overlying rock and solidified. Subsequent erosion removed the surrounding rock, leaving only the Gross Spitzkoppe, Klein (Little) Spitzkoppe and Pondok Mountains standing. 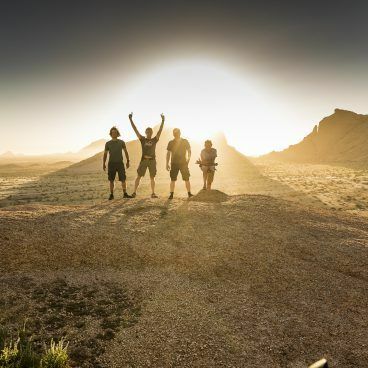 The Gross Spitzkoppe was first ascended in 1946, up the northwest face, and then remained inviolate for 10 years before the second success attempt. In 1960 a three-man party pioneered a route up the precipitous west face. The moutain, sections of which are E-grade, remains popular with local as well as overseas mountaineers. There are numberous fascinating rock formations in the area – one resembles a shark’s mouth, another a natural roch arch. 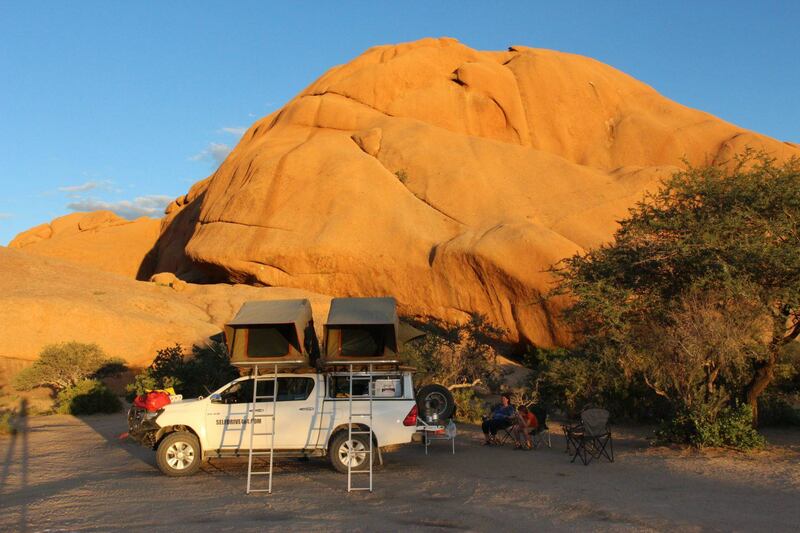 A highlight and ‘must do’ at Spitzkoppe is to look at the unbelievable beautiful sunset view from the rocks. 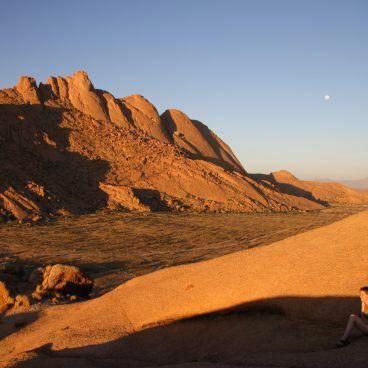 The camping sites are spread between the various rock formations and offer lots of privacy. Various selfdrive4x4 trips through Namibia take you along the impressive peaks of the Spitzkoppe.